Copy an embed code to display the player directly on your website. When publishing your single media player or playlist player you can choose to generate and copy the embed code that you can paste directly into your websites HTML code and display the player directly on your website. If you want to check out some demos and and extra information please visit our Video Players Information page. 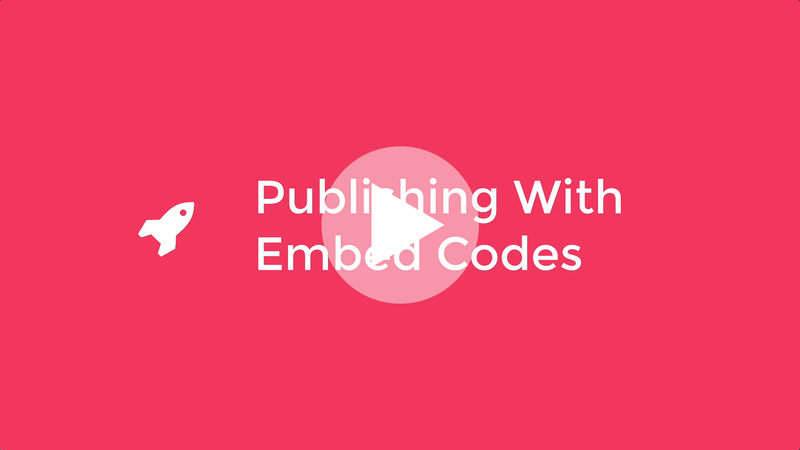 Select the </> Embed Code button from the Publish / Share Menu. You can click on the 👁 Preview button to preview what your player will look like once published to your website. When ready, simply click on the </> Copy to Clipboard button to copy the embed code into your computer's Clipboard. With the Embed Code copied, you can go and paste it to your Website's HTML Editor and publish it onto your website.